If you want to level up your exfoliation game, microdermabrasion is the way to go. It is a terrific way to rejuvenate your skin. Does it involve going under the knife? Nope. It is referred to as ‘the lunch break facial’ because it’s quick, mild and non-invasive. This anti-aging treatment uses fine crystals or minute diamond-studded tips to exfoliate your skin and remove dead skin cells. Pretty cool, right? It stimulates collagen production, resulting in a dramatic improvement in your skin tone and texture. It also improves skin elasticity and reduces the appearance of age spots, fine lines, mild acne scars, and enlarged pores. You can either get the treatment done by a professional aesthetician in a spa or salon, or invest in an at-home microdermabrasion kit. If you’re going with the latter, we’ve rounded up the 10 best microdermabrasion machines to help you get a professional-grade scrub right at home. Read on to find out more. The Personal Microderm Classic reveals your vibrant and radiant complexion through an easy series of treatments. With eight levels of intensity to choose from, you can find the ideal treatment for your skin type. The levels range from ‘ultra-sensitive’ to ‘very intense.’ If you’re new to microdermabrasion, this one by PMD is a great option for beginners. 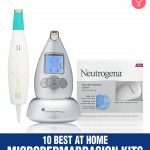 If you are a beginner on a budget, this microdermabrasion kit by Neutrogena is the best in the market. The kit includes a microdermabrasion applicator and 12 rejuvenation single-use puffs. The applicator uses micro-vibrations to boost skin renewal, leading to firmer, brighter, and healthier-looking skin over time. Use it thrice a week to see a noticeable improvement in your skin. If you’re looking for salon-quality results, this microdermabrasion system from Nuvederm is all you need to give your skin a quick fix. With consistent use, you will notice a huge difference in your fine lines, wrinkles, blemishes, and visible pores. Your skin is bound to feel smoother and softer over time. 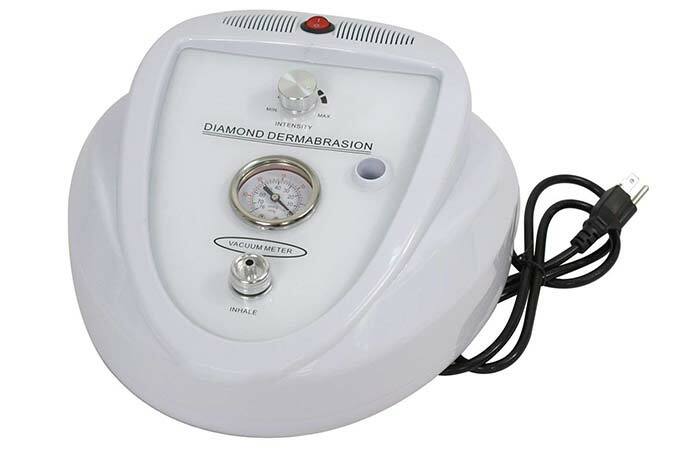 This microdermabrasion machine from Kendal uses a diamond tip instead of micro-crystals to get rid of dead skin cells. Your skin feels rejuvenated and looks brighter with a single treatment. It also maximizes the benefits of your skin care products after use, as the products penetrate deeper into your skin. 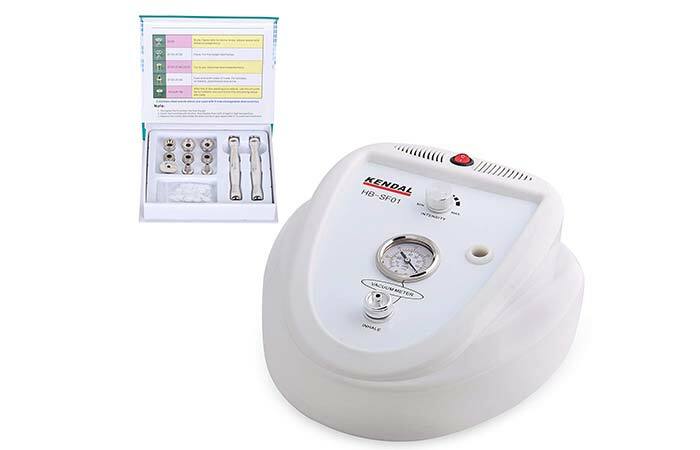 This machine is highly recommended even by spa professionals as it is the closest you can get to a professional dermabrasion machine. Microderm MD treatments are clinically proven to smoothen your skin and reduce the appearance of wrinkles and dark spots. This one’s a real breeze to use with its ‘auto mode’ feature that displays illustrations on how to use the device. 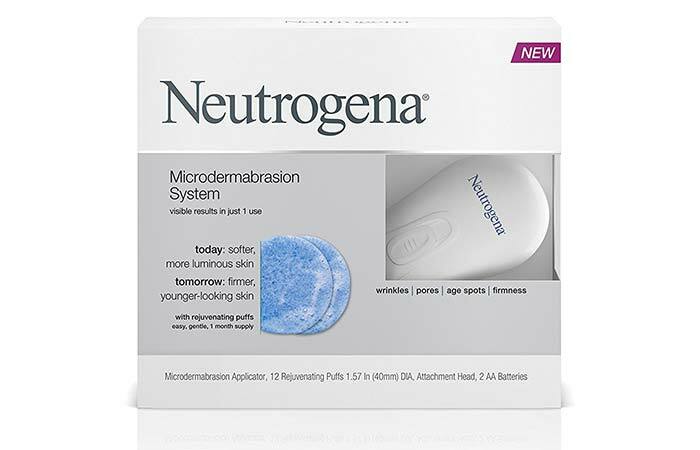 Its deep exfoliation tool buffs away dead skin and promotes cell turnover. You also get a 3-year warranty with this machine. 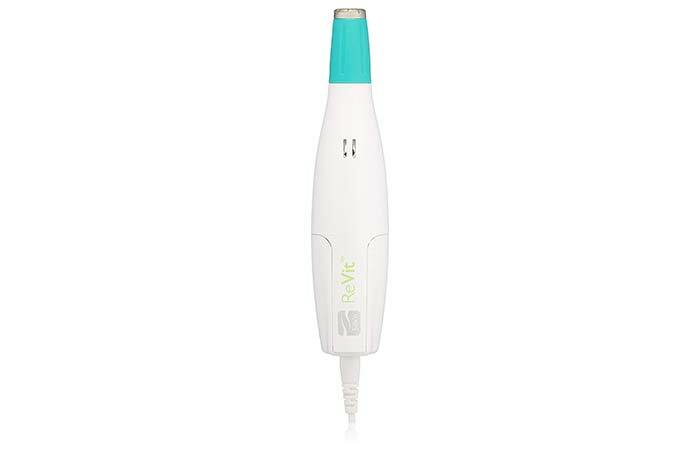 This product by NuBrilliance is one of the most popular microdermabrasion machines in the market. Along with a diamond tip, this machine also has five different levels of suction power and three types of tips. You can customize your treatment based on your skin type and sensitivity. On the flip side, although you get a 3-year warranty, the machine looks and feels very plasticky and fragile. 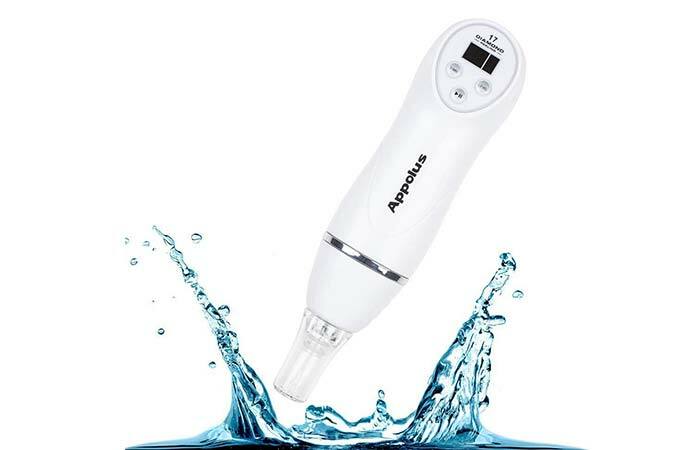 The Appolus Microderm is a very handy device that easily fits in your handbag. Its modern design is not its only great feature. It comes with an adjustable suction and a diamond tip that allows for spa-grade results. It works well on all skin types. You also get a whole bunch of accessories needed for microdermabrasion at home inside the box. 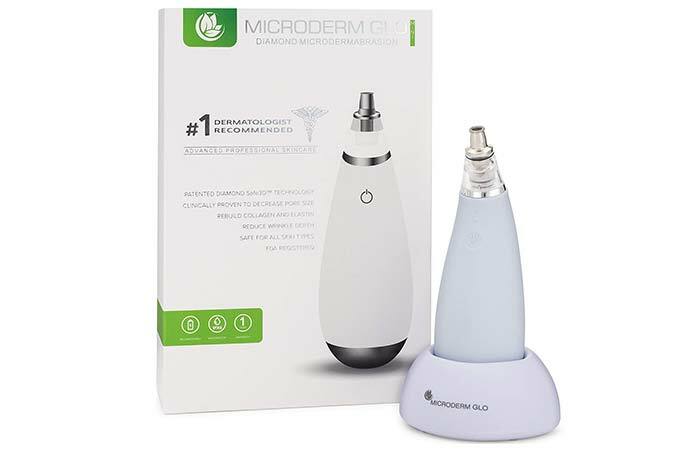 The Microderm Glo Mini is a fantastic device for aging and mature skin. It fits in one hand and is incredibly easy to use. With diamond tips and a customizable suction, it does a wonderful job of exfoliation and smoothening. You can charge it and use it anywhere. 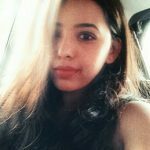 If you’re a beginner, this product is a must-try! 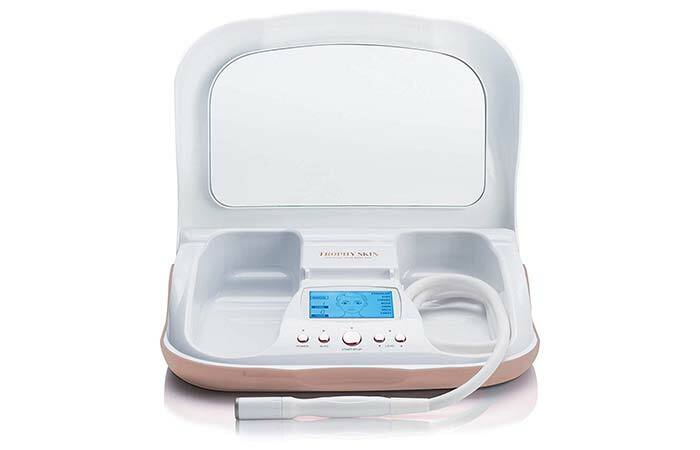 If you’re looking for a professional microdermabrasion system that does not cost as much as the other fancier machines, the Zeny Pro is a great fit for you. It is basic, but it does everything for your skin that an aesthetician would do. 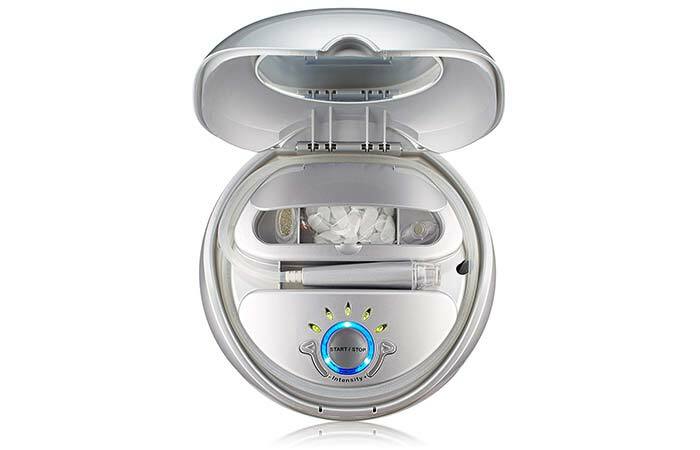 You’ll be surprised at how well the suction and its diamond tips work to leave your skin looking bright and beautiful. 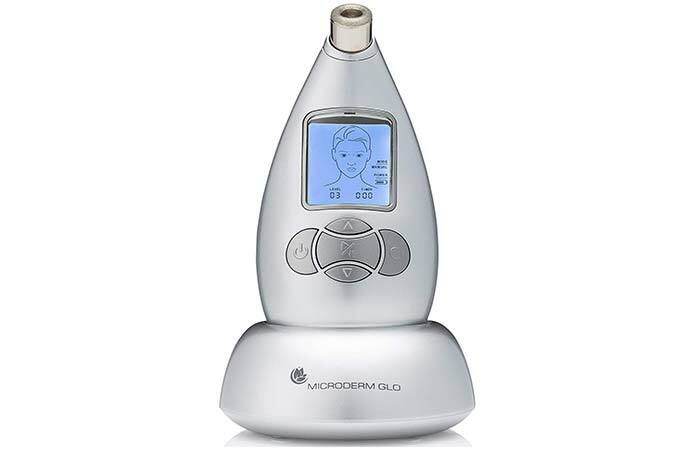 This revolutionary tool combines gentle microdermabrasion exfoliation with vacuum stimulation to fix all your skin concerns. It is great for age spots, blemishes, and acne scars. Its gentle tip improves your skin texture and elasticity in no time. However, you need to use the machine consistently to see noticeable results. The “lunchtime treatment” is an easy and painless way to sort your skin issues. With these at-home kits, you can achieve glowing skin in the comfort of your home. 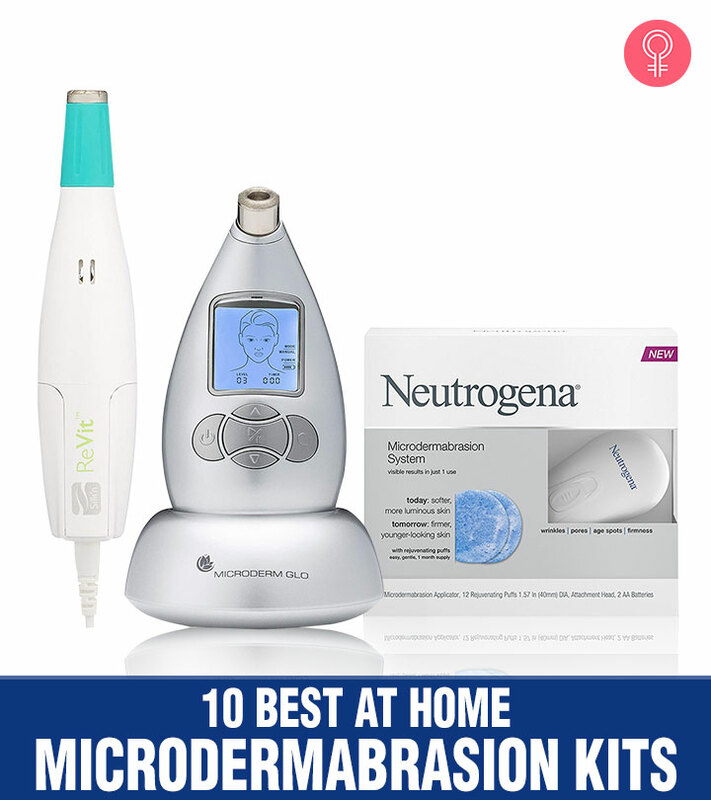 That was our round-up of the 10 best at-home microdermabrasion kits. Which one are you looking forward to trying? Let us know in the comments section below.